Its been a while since an awe-inspiring concept phone crossed our path, so humor me if you will, and have a peek at what the Nokia Lumia 1080 Concept Phone has to offer. The phone is inspired by the 5-inch plastic OLED display that features Full HD Resolution (1920 x 1080 pixels). 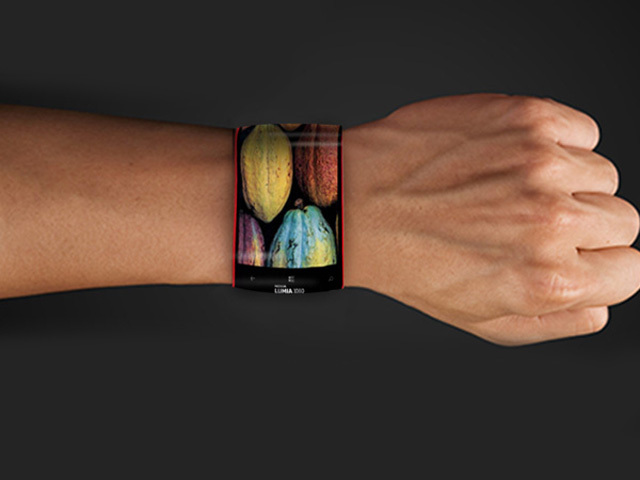 Future-proof, the concept believes in wearable technology hence the use of a flexible display. Expect to find navigation buttons, control buttons and ports from outside similar to current Lumia devices. Proposed specs include .8 GHz quad-core Snapdragon 800 processor, 2 GB RAM, storage options of 32GB/ 64 GB, support for 2G/ 3G/ 4G LTE network, Bluetooth, Wi-Fi, GPS and NFC for connectivity. Such a grand Smartphone is going to need power hence the battery of Lumia 1080 will be of 2500 mAh capacity.